Chuck roast on the roti. Just your basic chuck roast. Coarse sea salt, cracked black pepper and garlic granules. I used 1/2 chimney of lump and the rest apple wood splits. Lid remained cracked by 1 1/2" throughout. Re: Chuck roast on the roti. I'm attracted the ability to cook other things while using the rotisserie. I may have to steal that idea. But I'm having trouble parsing all I'm seeing. 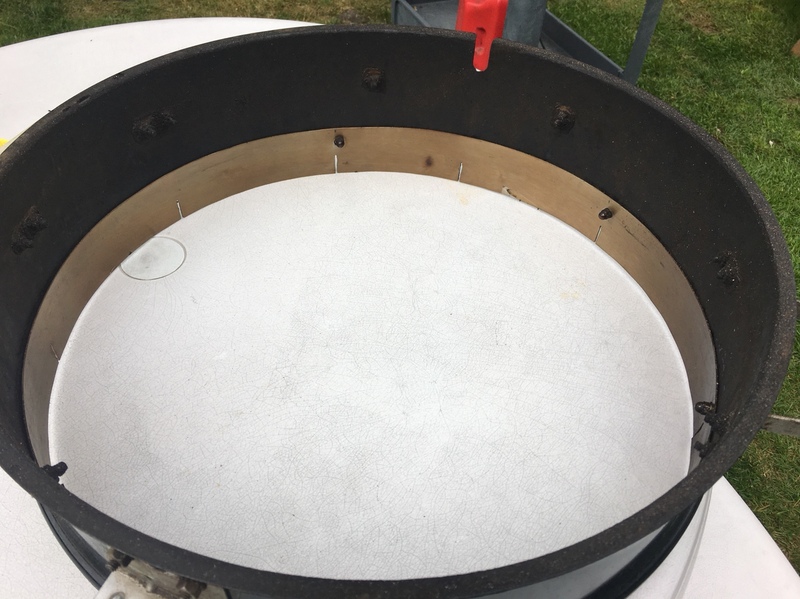 Did you add two sets of hardware, to be able to position a grate lower or higher on the rotisserie ring? Is the Caliente piece just for charcoal or does it also have support for a cook grate? And lastly, what does the strap ring inside the rotisserie do? That's my multi-purpose rotisserie, smoker, high heat grilling rig. 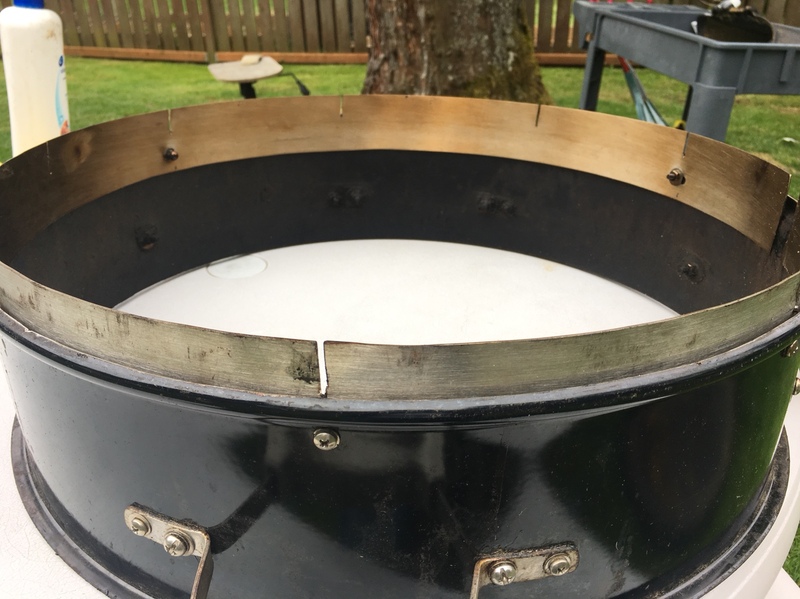 I started by modifying one of the weber roti to fit on top of the caliente stacker, kettle bowl, or on top of another weber roti. This is the grate i use while doing rotisserie. Standard grate location on the caliente. 2 grates on each weber stacker if needed. That's the modified weber stacker. I trimmed the bottom rim and bolted a stainless strap ring to make it fit snugly on the caliente, bowl or on top ot the other roti stacker. The strap was a remnant from my poortex drip pan. Can't afford a wsm so here's my version. Up to 5 grates are available. Works great for rotisserie also. I'll be doing 2 rotisserie at once at some point. Pick and chose which height of cooking grate you want to use while doing rotisserie. The added height also allows the use of wood splits while keeping the lid partially open or without. Use your least favorite kettle and you can cook with a raging inferno. Maximum distance between cooking and charcoal grate is 20". Don't really have too worry about the flame engulfing your food. Tri- tip perhaps? Orange bell pepper, crimini and portabella mushrooms. It's a very versatile cooking rig. I have other accessories also that can be used for different configurations. My favorite so far is using the the 4 racks on the weber stackers to make beef jerky.